Gita means song. The Bhagavad Gita is teaching us to sing our own song and be truly ourselves. 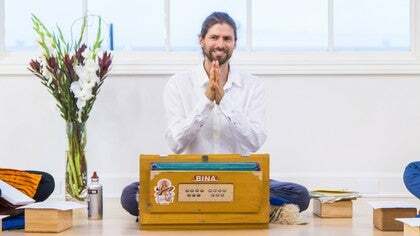 James Boag unpacks the essential teachings in Chapter 2 - chanting and translating the sanskrit verses, sharing epic stories, and offering timeless insight to accelerate, inspire, and transform our daily lives. James sets the stage for the exploration of the Gita so that we may receive and engage with the text wholeheartedly. James unpacks the essential teachings in Chapter 2 of the Gita, offering timeless insight to accelerate, inspire, and transform our daily lives. James offers an invitation to begin the study of the second chapter of Bhagavad Gita, encouraging us to know the text in our heart. Together we sing a song to Ganesha to harmonize and unify, and to prepare for a sincere and integrated study of the Bhagavad Gita. 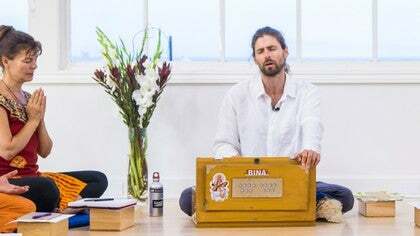 James encourages us to recite the Sanskrit verses in Chapter 2 of the Gita to cultivate balance and harmony in our being through the power of sound. Listen and participate in this mantra practice. 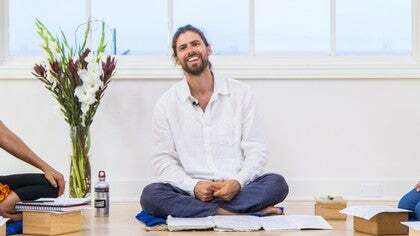 As James recites Chapter 2 of the Gita, allow the vibrations to permeate your being. 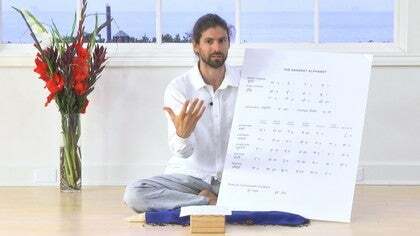 James introduces us to the Sanskrit Alphabet, guiding us through the pronunciation and inviting us to listen and repeat back the sound. James recites and translates verses 2.1 - 2.3, introducing us to Arjuna's dilemma and setting the stage for the unfolding of the Gita. James recites and translates verses 2.4 - 2.6, unpacking Arjuna's dilemma with a story as a way to understand how we work with patterns and gurus. 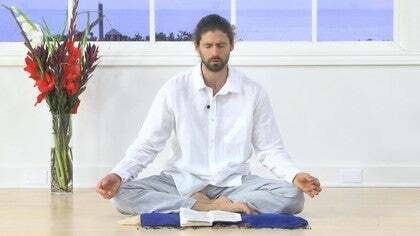 James recites and translates verses 2.7 - 2.8 of the Gita. As Arjuna surrenders, he opens himself up to the teachings of Krishna.